Investors find or great home with huge space and a really super workshop/garage to the back. 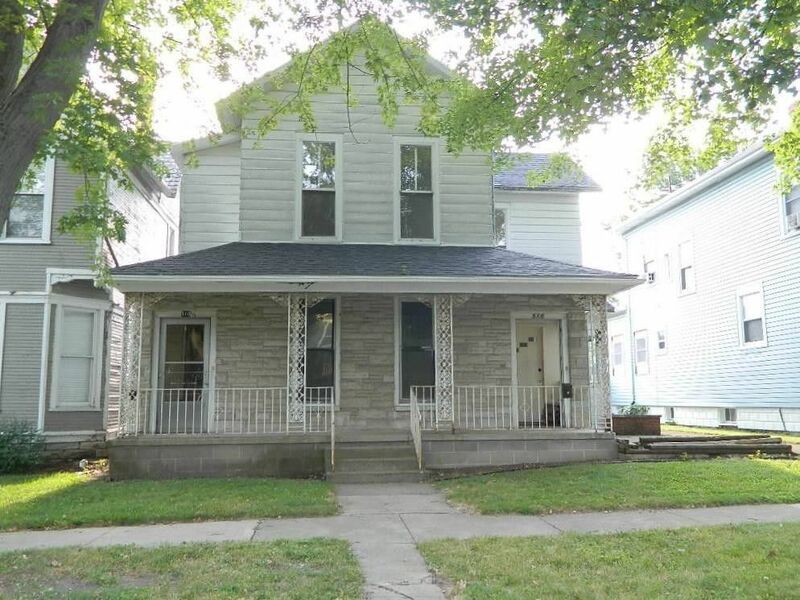 This home has a 2-3 bedroom apartment with one bath on the main level and a one bedroom one bath apartment upstairs. Both are clean and have updated bathrooms and kitchens. Gross monthly rent is $950 a month. The stairs are in place to open it back to one large home. If you want an affordable home and the equivalent of a 4 + car garage workshop, you should take a look at this one. Nice well cared for neighborhood and close to schools, churches and downtown.